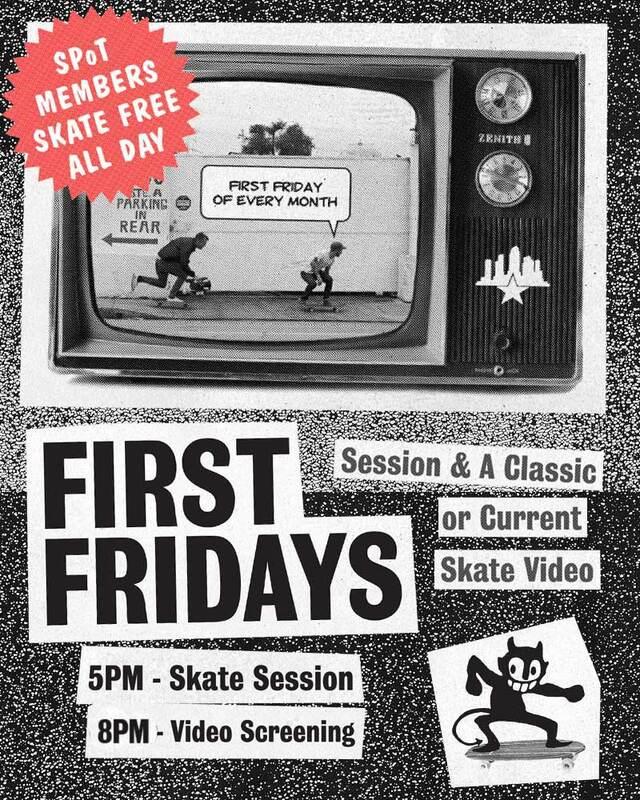 On the First Friday of every month, we get everyone together for a skate session, followed by a current or classic skate video. Sometimes we'll get an advance premiere before it drops worldwide, or we'll just throw on something epic like "Yeah Right!" or "Propeller". All of these are shown in full-glory on our big screen in the Transitions Event Space and throughout the park. There's various things that may happen, like a best trick jam, BBQ, free beers (for 21 and up)...you never know unless you show up. If you're reading this, get involved and come chill with us. Yeah, we know it's online but wouldn't you rather see it on the big screen? 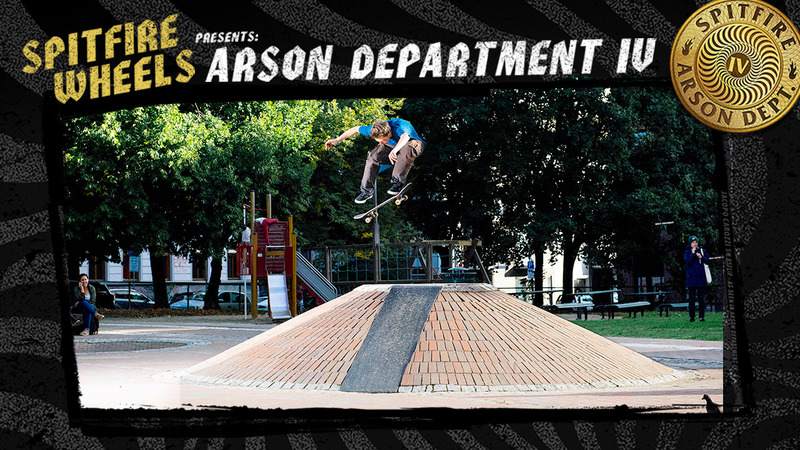 Featuring Spitfire riders from around the globe including Ishod Wair, Even Smith, Hjalte Halberg, Didrik Galasso, Andrew Wilson, Mason Silva, Louie Lopez, Oskar Rozenberg, Jed Anderson, Dennis Busenitz Herman Stene, Mike Anderson, Pol Catena, Simon Bannerot, Collin Provost, Heitor Da Silva, Matt Gotwig, Harry Lintell, Zion Wright, Jacopo Carozzi and many more! If you have an annual membership with us, you skate FREE every First Friday. That's all day. There's all kinds of other benefits that come with being a SPoT Member too. Click here to find out what they are and how to sign up. The world premiere of SHR's "Silent Investors", plus music by Tyler Radford, Charles Irwin and Jensen Surf Company. A Best Trick contest with AH giveaways, free BBQ, AND a new Anti-Hero video? Yes, please. This First Fridays went off big with the premiere of Lakai's "The Flare". Lots of kids got laced up with new kicks, too. We usually do First Fridays right before an all ages contest. This one was pretty epic and we showed Real's "Reel to Real" video. We know you're on Instagram and Facebook as much as we are, so here's an image you can use to help hype up these sessions. We'll have coverage @SPoTTampa, using the hashtag #SPoTTampa and #FirstFridays.